Delight Ministries founders Mac and Kenz, along with a few guests, will be co-hosting this event. 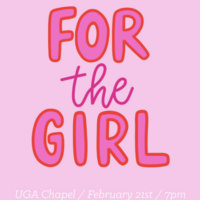 Come hear real, raw and vulnerable stories from a panel of amazing women and get advice on pursuing personal relationships while also pursuing a relationship with Jesus in college. $10 online or $15 at door.